The aspiring musician has just released a video.In it, she claims Sahara Reporters framed her and twisted the story. 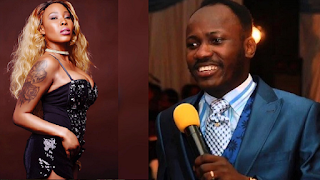 According to her, she was not forced or paid by Apostle Suleiman to say the truth. She revealed that she would reveal the names of politicians who allegedly paid her to lie against Apostle Suleiman.